The renal collecting duct, composed of ureteric epithelia, is formed by successive branching of the ureteric bud. The duct extends from the periphery of the kidney to the inner medulla. 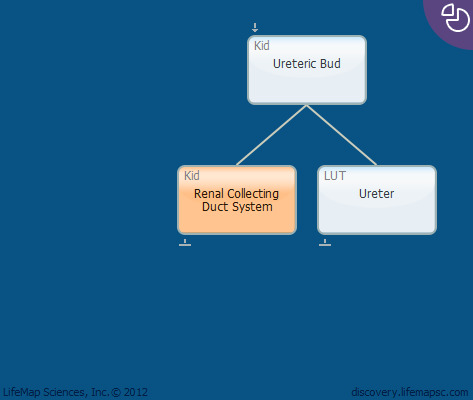 Nephrons are linked via renal connecting tubules to the collecting duct, where the urine is collected. The urine is then drained from the collecting ducts into the pelvis, and from there to the bladder, via the ureter.